How do we describe an airplane? The short answer (of course), to this is that it depends on the audience. To a loved one who is picking us up from an airport, we use the carrier as a term of reference. “I am flying Continental from Newark to San Antonio”, one may say. Some may even be interested in a carrier’s livery. Let’s take the Continental flight once again. 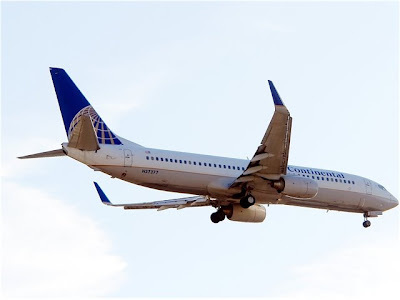 We could say, “It is a white plane, with a gold line along the latitudinal cheat line, with a blue tail, and on that blue tail, there is a globe.” To those who are interested, we say, “It was a Boeing 737.” To the airplane buff, we continue, “It was a Boeing 737-800, registration N37277, manufactured in Renton, Washington in 2004.” We describe this passenger jet according to its airframe, engine configuration, and any other number of metrics. The methods are never consistent, yet we are dealing first and foremost with a very tricky object. How tricky? Consider, for example, that the modern passenger airplane is the ultimate mediated object. In Grammophone, Film, Typewriter, the German media theorist Friedrich Kittler describes how in an airplane “The crew is connected to radar screens, diode displays, radio beacons, and nonpublic channels” and how “The passengers' ears are listlessly hooked up to one-way earphones, which are themselves hooked up to tape recorders and thereby to the record industry.” The passenger jet is therefore a networked object. It delivers the promise of connectivity at all scales: from interpersonal communications among crew and passengers, to hub-and-spoke airline route systems, to the literal and figural networking of myriad geographical points across the globe. My charge is to introduce a series of tools that help describe and analyze aircraft in light of the many complexities that I have just mentioned. I should add that these tools are not architectural nor art historical. These tools are not the beneficiaries of the alphabet-soup methodologies we are accustomed to: there are no STS’s or ANT’s. The tools I bring to this table come from American jurisprudence as well as public and private international law. This means that I eschew the role of architecture historian and, for this post only, write from an attorney's point of view. Jurists and attorneys contemplate, dissect and analyze a complicated object such as a passenger jet in the context of jurisdictional power. Let’s think of it this way: a Federal court has authority to hear a case regarding an object, person, or transaction that occurs in the state where that court sits. It also has the authority to hear the cases that involve issues of Federal law. With this in mind, how do we comprehend a passenger jet, an object that crosses many international boundaries, with passengers and crew from myriad countries, with reservations made via innumerable electronic transactions? The short answer is that attorneys and jurists have been doing this for a very long time. I want to illustrate this process by first introducing a real set of facts and a real set of legal opinions, all involving the fight of a Boeing 707 passenger jet from Santiago de Chile to New York and a car-bomb explosion in 1976. 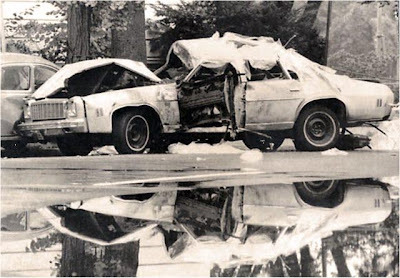 On September 21, 1976, operatives working for the Dirección de Inteligencia Nacional (DINA, the Chilean Intelligence Directorate) detonated a radio-controlled explosive device attached to car traveling down Embassy Row in Washington, DC. Inside the car was Orlando Letelier, the Defense Minister under recently-ousted Chilean president Salvador Allende, and head of the Institute for Policy Studies. Along with his American secretary, Ronnie Moffitt, Letelier died instantly. The prime suspect behind Letelier’s assassination was Chilean Dictator Augusto Pinochet. Letelier’s and Moffitt’s families sought a wrongful death action and petitioned a Federal Court to seize Chilean assets in the United States. Prosecutors relied on an unusual legal theory: because the assassins flew to the United States, the Chilean-owned airplane was viewed as a seizable asset. 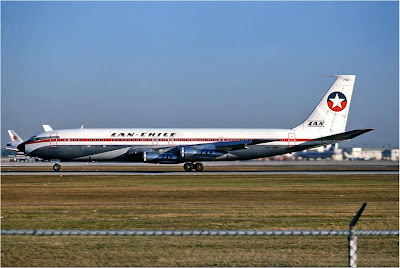 The Federal District Court for the District of Columbia subpoenaed the offices of LAN (Lineas Aereas Nacionales), the Chilean national airline. From January 1975 through January 1979 LAN’s assets and facilities were under direct control of Chile, which has the power to use them; Chile could have decreed LAN’s dissolution and taken over property interests held in LAN’s name; Chile, though its agencies, officers, and employees, intentionally used facilities and personnel of LAN to plan and carry out its conspiracy to assassinate Orlando Letelier by (a) transporting [assassins] between Chile and the United States, (b) transporting explosives on several occasions, (c) assisting with currency transactions involved in paying off the co-conspirators in the assassination, (d) providing a meeting place for the co-conspirators, (e) arranging for [assassins] to exit the United States under an alias after the assassination. The 1984 opinion continues this trajectory, noting that despite all this malfeasance, Chile was not abusing its corporate form. In a strange and poignant moment, Judge Cardamone notes that engaging in state-sponsored terrorism, the planning of assassinations, etc., are not traditionally commercial activities. In other words, Chile was not abusing its corporate form because it was doing what countries do all the time. But before the Letelier decisions, American courts were using other tools for analyzing object-ness for jurisdictional purposes. The classic formulation comes from a 1945 U.S. Supreme Court decision, International Shoe Co. v. Washington. In that case, the Court held that “A state may exercise personal jurisdiction over an out-of-state defendant, so long as that defendant has ‘sufficient minimum contacts’ with the forum state, such that the exercise of jurisdiction will not offend traditional notions of fair play and substantial justice …” In this case, the “minimum contacts” were a series of shoe displays used by International Shoe’s traveling salesmen. The Court subsequently used the doctrine of “minimum contacts” to investigate whether a manufacturer was liable for negligence under products liability statutes for injecting products (for example, automobiles) into the stream of commerce. Thus in World-Wide Volkswagen Corp. v. Woodson (1980), the Supreme Court held that an Oklahoma court had jurisdiction over Volkswagen and Audi for a car accident occurring in Oklahoma, and this despite the fact that the companies did not intentionally send their products to that state. The Court held differently in Asahi Metal Industry v. Superior Court (1987), where a Japanese manufacturer of motorcycle cylinders and a Taiwanese distributor could not be held liable for a fatal motorcycle accident occurring in California. The difference between the two cases not only rests on the size of the object -- introducing a car into the American market is more foreseeable than introducing a motorcycle engine cylinder – but on the burden placed on the defendant. It was deemed more burdensome to sue a manufacturer of a motorcycle cylinder than an automobile maker. This line of thinking also appears in earlier cases involving aircraft accidents. For example, in Piper Aircraft v. Reyno (1981), a Scottish family could not sue an American aircraft manufacturer in a Pennsylvania Federal court for a fatal accident occurring in Scottish airspace. These cases, though concerning grim events and issues of corporate responsibility and products liability, are similar in that they theorize the ramifications of introducing an object into the international sphere. They theorize the significance of that object as it is connected to corporate actors via communication, distribution, political, and various other networks. The Letelier decisions, as well as the cases involving the legal doctrines of minimal contacts and forum non conviniens, all deal first and foremost with objects. Indeed, we would be on solid ground if we use these cases to conceptualize of a passenger jet as an object forged by various transactions and exchanges. This is confirmed by the fact that Friedrich Kittler and Circuit Judge Cardamone are saying very similar things. But to get back to our case at hand – the legal status of aircraft – we must recalibrate our scope of inquiry a little. We can use principles from international law – specifically maritime and aerospace law – to conceptualize of a passenger jet as an object in motion. These principles also help us understand the passenger jet as it moves through three-dimensional space – and this is because such movement has consequences. I begin with a tenet of Roman Law, a dictum from the Justinian Code known as the "sic utere" principle. Sic Utere Tuo ut Alieum Non Laedas. We translate this as “use your own so as not to injure another”, and it is an idea generally applicable to the law of property and the international law of territory. An American legal treatise from the early 20th century defines the "sic utere" principle thusly: “it may be stated that every man has a right to the natural use and enjoyment of his own property; and if, while lawfully in such use and enjoyment, without malice or negligence on his part, an unavoidable loss occurs to his neighbor, it is damage without any legal wrong.” This is NIMBYism in its rawest, most literal, most Roman sense: do what you want, just keep it out of my territory. It is a principle that has been unilaterally applied to cases involving trespassing beasts of burdens, errant cannonballs, transborder pollution, and even atmospheric nuclear testing. I point out that this principle sets up a regime of responsibility for an object that crosses a territorial boundary. Responsibility stems from the fact that an object – a ship, hang glider, or even a Chilean Boeing 707 – is a piece of territory freighted with legal significance. This is essentially what the judges in the Letelier case were thinking: a Chilean airliner is a piece of sovereign territory even when it crosses international borders. Fauchille and others have suggested that the states should agree upon a zone of isolation above which traffic shall be free. Within it, all craft shall comply with fixed regulations such as in respect of the signals to be given and the place of descent, and public craft must obtain the consent of the local state through diplomatic channels. But an attempt to set up artificial zones seems unwise if for no other reason than that of the topography of the earth and the limitation of atmosphere available for human life … The sphere of sovereignty should be determined not by arithmetical standards but by the safety and convenience of the state. This is a reference to a 1902 legal regulation drafted by Fauchille, a French legal theorist, called Projet de Règlement sur le Régime Juridique des Aërostats. 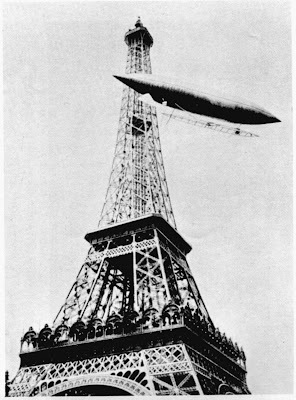 It was part of a larger project concerning the regulation ballooning operations. Fauchille continues, “It is sufficient to acknowledge that the navigation of the air is a matter of public concern, and that its advancement as a medium of commerce will depend upon the wisdom and breadth of view which the organs of government exercise in making laws and regulations for its guidance.” Yet Fauchille’s solution to this problem was decidedly architectural and arithmetical. His “zone of isolation” would be exactly 330 meters: the height of the Eiffel Tower, then the tallest structure in the world. In other words, airspace extending from grade to 330 meters would be considered adjacent territory, subject to the laws of the state. Anything above would be considered international airspace. This is an application of the "sic utere" principle in vertical space. Although the Fauchille Theorem is outdated, its underlying idea still resonates. This is proved by a very familiar set of facts. 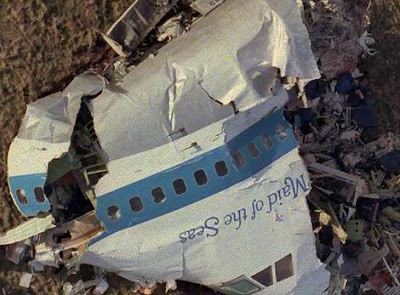 On December 21, 1988, Pan Am Flight 103, en route from London Heathrow to New York’s Kennedy Airport, exploded in mid-air over Lockerbie, Scotland. 270 people died, including 243 passengers, 16 crew, and 11 on the ground. The subsequent investigation found that the explosion was caused by the detonation of a plastic explosive carried on board by a Libyan passenger. As with similar disasters and calamities, a protracted legal action ensued. But this case involved an international dimension: as United Kingdom wanted to bring the case in Scottish court, the Libyan proctors asked that the case be removed to an international tribunal. The Letelier and Lockerbie cases thus relied on two separate conditions, both derived from the "sic utere" principle: whereas the former conceives of a jet as it crosses an international boundary, the latter conceives of the jet as it crosses an altitude threshold. How, then, do the Lockerbie cases contemplate of an airplane in relation to its altitude? What the Libyans' attorneys considered (and alternatively, what they did not consider) provide some guidance. In an case before the International Court of Justice (ICJ) to determine jurisdiction, Libya's attorneys claimed that an international convention trumped the application of US/UK law. The convention the Libyans were referring to is the 1971 Convention for the Suppression of Unlawful Acts Against the Safety of Civil Aviation (also known as the Montreal Treaty). In its case before the ICJ, Libya argued that under the Treaty, it had the right to exercise its own jurisdiction over the case because Libyan nationals were aboard the aircraft, this despite the fact that Pan Am 103 was flying over UK airspace. There was a procedural reason for this -- a trial in Libya under Libyan law precluded the extradition of its suspects. But nevertheless, it is important to consider that for Libya, the vertical orientation of the aircraft would also have been at stake. The argument is very similar to Judge Cardamone's statements in the Letelier cases regarding the sovereignty of an object flying across international borders. However, it is important to note that as Pan Am 103 was flying over Scotland, its transit would have been subject to the auspices of the Bermuda Treaty, a 1956 bilateral agreement between the United States and the United Kingdom prescribing the routes and altitudes for London-New York flights. To conclude, I reiterate that my charge has been only to introduce a different set of tools used for comprehending and conceptualizing the modern passenger jet. These tools, I argue, are useful because they help us understand the indelible, profound complexities underlying a Boeing or Airbus airliner. This study thus began with an invocation of these complexities. But even if a passenger jet is the ultimate networked (or mediated) object, I maintain that a series of general yet well-established legal concepts from American jurisprudence and public and private international law help capture these complexities. These legal tools are incredibly flexible; so much so that they not only help us understand the networked conditions under which a passenger jet operates, but also because they help us visualize of aircraft in their most fundamental condition – as objects that move in three-dimensional space at a high rate of speed. I began and ended this short study with difficult sets of facts … fallen aircraft, plastic explosives, and incomprehensible carnage. I invoke a famous legal shibboleth, this one from the 18th century Scottish jurist William Argyll: Hard cases, it is said, make bad law. This has always been true. I also believe that hard cases give us some of the best tools we have for understanding objects.